Welcome to our GPN SNN ambassadors’ blog! The GPN Student Nurse Network supports the delivery of the General Practice Nursing 10 Point Plan with funding from NHS England. Read more about the network and meet our ambassadors. 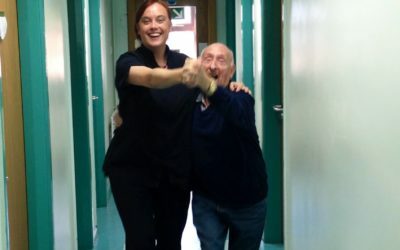 Wendy Hoban (North GPN SNN Ambassador) interviews her mentor who has been working in primary care for 2.5 years and had her interview only 8 months into being newly qualified. Dispelling the myth that you can’t go straight into primary care! GPN SNN Ambassador (North), Christy Egan, interviews her mentor Joanne Cesarano in County Durham. Jo talks about how upset she was when told she’d have to start off as nurse on the wards instead of primary care, and how she transitioned to general practice nursing. 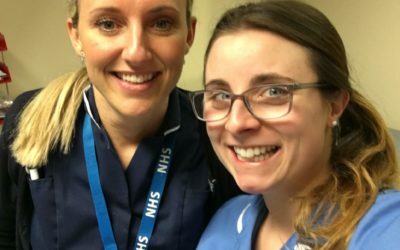 London GPN SNN Ambassador, Fatima Sharifee, interviews her mentor Debbie Brown, Advanced Nurse Practitioner about her journey from the acute admissions ward to general practice nursing. Debbie talks career progression and why GPNs have been linked to dishwashers! Midlands & East GPN SNN Ambassador, Claire Carmichael, interviews Louise Brady, nurse lead primary care & community care in Manchester. Louise shares why she knew working at the heart of her community was for her and how a terrifying experience became one of the most rewarding. Video: What Does a GP Nurse DO? GPN SNN Ambassador, Claire Carmichael, shares her video about what a GP nurse does. 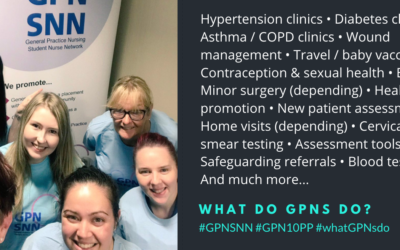 GPN SNN Ambassador Claire Carmichael dispels some myths about general practice nursing and shares about the wide range of things GPNs do!